Bose is known for its superior sound quality and comfort. With the A20 model, the company has brought this quality to aviation, appreciated by many pilots around the world. If you're still not entirely convinced about spending a fair amount on this headset, we have summed up 10 reasons why an expense like this actually becomes an investment in your comfort, health and safety. Full disclosure: We have created this article because we know and trust Bose's products. We personally fly with and enjoy the aviation headsets they make and can in good conscience assure you their products are outstanding. We do receive a small commission on each sale made through any of the links on this page, which helps us create more great - and free - content for you. The question arises; how do you distinguish between the things you need and the things that would be just nice to have? One of the most important things you need as a pilot is a decent aviation headset. We have written an entire guide on how to pick the right aviation headset for you (which has been viewed almost 30k times already), but we want to focus here on one particular model: the Bose A20. 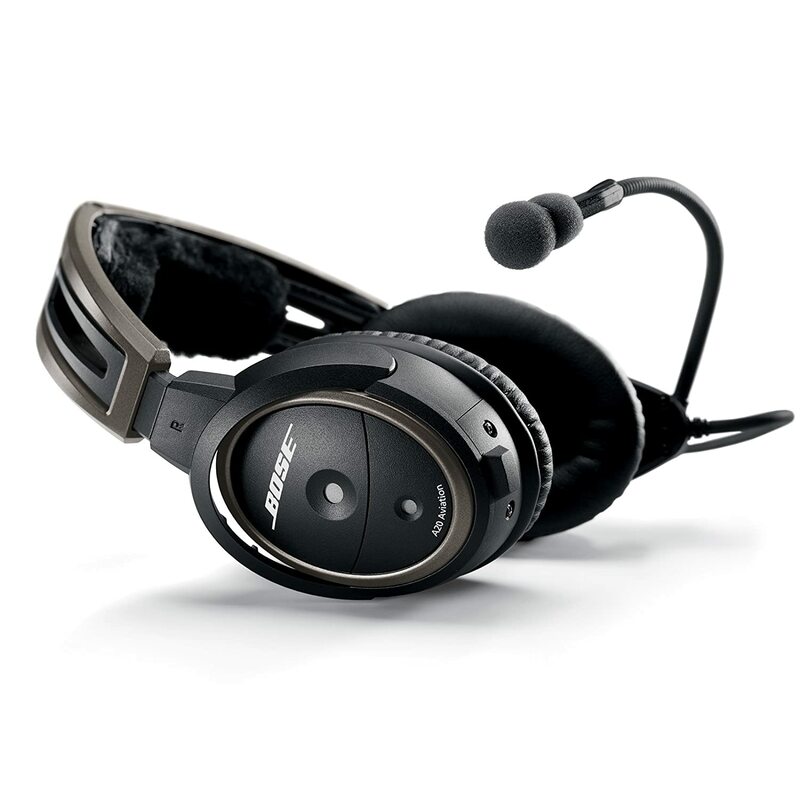 With a price tag of over $1000, the Bose A20 Aviation Headset certainly is on the higher end of the market. But again begs the question, do you really need it? Or is it just nice to have? After having flown with tens of different headset brands and models, here's why we believe the Bose A20 is an investment that will pay off and not just a nice-to-have. One of the first things you will notice when wearing the A20 is that they're extremely comfortable. With about 30% less clamping force than comparable headsets and weighing just 370g, the headset feels nice on your head and stays comfortable, even during longer flights. Bose is known for its comfortable music headphones. Their aviation model brings the same comfort - and style - to the cockpit. Besides comfort, there's also quality. When you pay more than $1000 on a headset, you expect the quality to be the best. And it is! You instantly notice the headset feels sturdy and well-made. From the earcups and leather cushions to the headband and mic boom, every piece of this headset is made of great quality. If something would be to break, Bose offers a 5-year warranty, which we will discuss in later. Not only the build-quality is important, but also the sound quality. Bose is known for its superior sound in headphones, earphones and other sound systems. 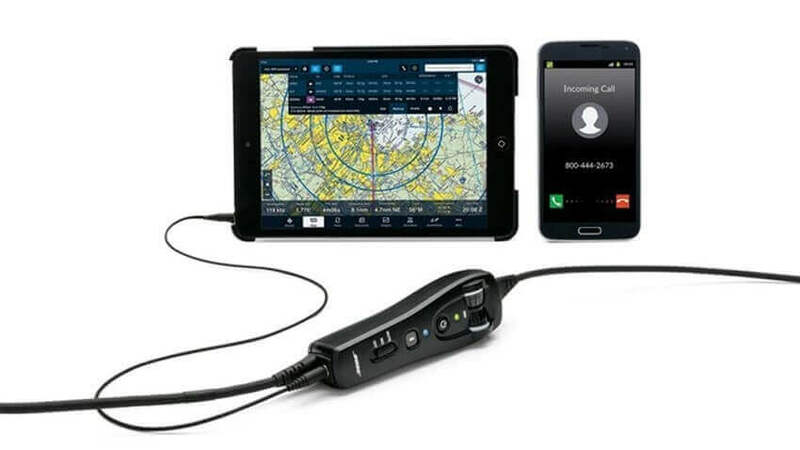 It has brought this sound quality to the aviation market, offering the same listening experience to pilots talking to ATC or listening to music through their headset. Safety is always priority n°1 in aviation. And if you can improve safety by investing a little bit more in a decent headset, it should be a no-brainer. The headset has a positive impact on your comfort (and health as we will discuss next) and improves communication both in the cockpit and outside the aircraft. This greatly improves safety because in a high-stress environment like an airplane's cockpit, communication is everything. The Bose A20 is an Active Noise Reduction (ANR) headset that provides about 30% better noise reduction than comparable headsets. Besides the obvious comfort, one of the major things you will notice is.. it's quiet. It's extremely quiet. Some people might argue it is a little bit too quiet, which could make it hard to hear unusual engine sounds. In our experience, it takes a little time to get used to this, but once you have flown with the headset for a few hours, your ears start to adapt to the difference in sound levels. Which leads to one of thé major reasons to buy the A20: it's an investment in your health. Thanks to its superior noise reduction, your ears have to deal with much less loud noises, however loud the aircraft you're flying may be. Loud piston or jet engine aircraft can become uncomfortable, if not painful, after multiple hours in the air at cruising power. Together with the usually strong clamping force of the headset on your head, this can cause serious headaches as we have learned from our own and friends' experiences. Buy the A20, your ears will thank you, trust us. The Bose A20 can be bought in a Bluetooth or non-Bluetooth version. Bluetooth enables you to connect your phone and other Bluetooth devices to your headset wirelessly. On top of this, the A20 has different modes, allowing you to choose which audio input should be prioritized, even giving you the option to auto mute auxiliary audio when a receiving or sending a radio transmission. This is both a nice-to-have feature on longer flights to play some music, but also enables you to make phone calls in flight. This could be useful if you needed to make an urgent phone call, which would be rather impossible without a headset. Even if you decide not to pay the extra $100 on the Bluetooth version, the control module has a standard 3.5mm audio input to plug in any portable headsets using a simple MP3 audio cable. Communication can be summed up in two words: crystal clear. Where you're often constantly adjusting the microphone in front of your mouth so it actually picks up your words, the Bose A20 is a charm to use. No more difficulty to understand or be understood; thanks to the crystal clear communication, you never miss a transmission from ATC or a message from your passengers or other crew members. The Bose A20 is available which a few custom options. First of all, you have the choice between the Bluetooth and non-Bluetooth version, as we have mentioned before. The difference in price is about $100, but for this money you get to pair your phone and other portable devices like iPad and GPS to your headset wirelessly, offering great flexibility. Other options you receive to customize your headset are the many adapters for GA (dual plug), helicopter, XLR (Airbus),... You can even buy a small cable/adapter to build into your aircraft panel that also provides power to your headset; no more worrying about dying batteries mid-flight (in normal use, the batteries last about 45 hours). Lastly, the headset is built in such a way that you can put the microphone boom on either the right or left side of the headset, tailoring the headset to your personal preferences. The Bose A20 is used in cockpits around the world, having proven it can handle any environment. Aircraft manufacturers like Cirrus Aircraft and many more outfit their brand new aircraft with Bose A20 headsets, simply because their customers only expect to best. Go to any airport, large or small, and chances are strong the Bose A20 will be the most-used headset there. It has proven its quality, comfort and use with pilots all over the world. Still not convinced? Just read some of the 200+ reviews on Amazon. Besides the 5-year warranty, Bose's customer support is second to none. Need a part replaced? No problem within the warranty and even when the warranty expires Bose will gladly repair or update your headset with new wires, headband, cushions or other parts that need replacing. Of course, once the warranty has expired, these repairs are at own expense, but spending a few hundred dollars will make your headset as good as new, ready for many years to come. For professional use, it's also important for the headset to be certified by the FAA and EASA. The Bose A20 is used in professional cockpits around the world, ranging from small business jets and helicopters to large airliners. Many aviation companies outfit their cockpits with Bose A20s by default, proving the reliability and quality in a professional working environment. The Bose A20 is certified to FAA TSO-C139 and EASA ETSO-C139 standards. With its price point of just over $1k, the Bose A20 Bluetooth Aviation Headset is certainly not the cheapest one you can get. If you have ever used Bose headphones or other Bose audio systems, you know what superior sound quality the company's products can produce. The A20 aviation headset is engineered to be more comfortable and provide more noise reduction than any headset Bose has ever made, while still delivering the clear audio you expect from them. The A20 is one of the most comfortable headsets, if not the most comfortable one, we have used. The soft leather ear cushions and the comfortable fit of the headband make this headset very comfortable, especially on longer flights. But.. We realize the headset is not cheap, at all. If you're a student pilot just starting out (and probably on a low budget), spending $1000+ on a headset might be something you want to postpone a little bit. Which is, btw, exactly what we also did in our own training! We created a guide with some of the best headset alternatives for every budget. Now if you have the budget and realize this is an investment in your future, the Bose A20 is the way to go in our opinion. At this price point, you expect the best. The Bose A20 does a great job delivering just that.